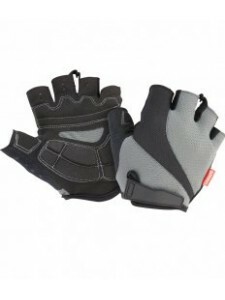 92% polyester/8% elastane contrast. 90% polyester/10% elastane inner pants. Outer shorts have zip me..
Windproof, breathable and lightweight. Supportive upper with high stretch bound straps. Breathable c..
Waterproof fabric 5000mm. 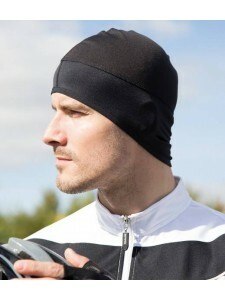 Breathable and windproof. Back vent. Full length zip with chin guard and i..
Cool-Dry© performance fabric. Lightweight and breathable. Anti-bacterial double layer, smooth textur..
Cool-Dry© textured performance fabric. Lightweight and quick drying. Full length zip. Three pockets ..
Windproof and breathable. 90% polyester/10% elastane mesh back panel. Stand up collar. 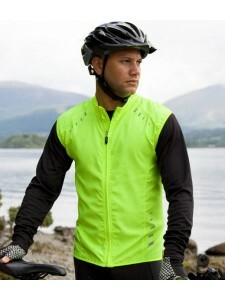 Full length z..
Windproof, breathable and lightweight. Breathable contour fit panels. Ear flaps. Flatlock stitch sea..